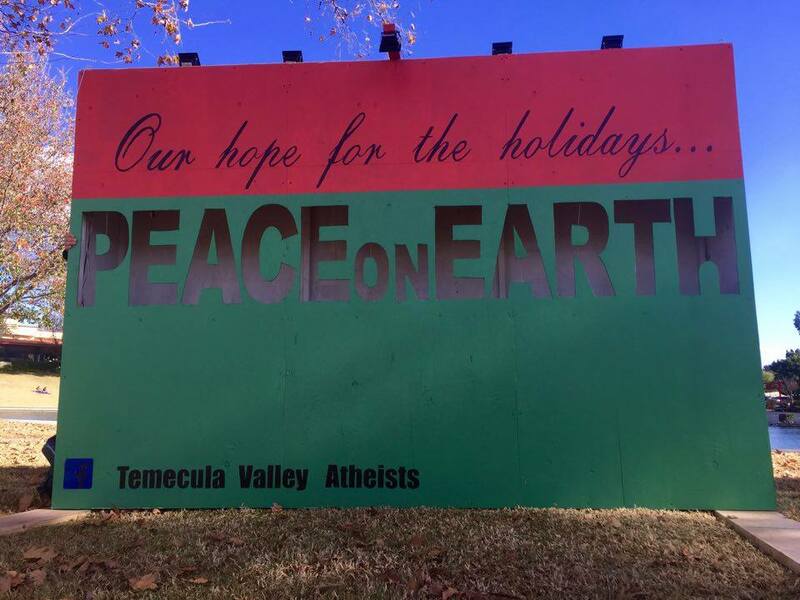 Once again, the Temecula Valley Atheists in California have put up a giant sign reading “Peace on Earth” at Duck Pond Park, near a menorah, Nativity scene, and Christmas tree. Calling for peace is pretty universal. At least the atheists aren’t waging holy war to achieve their version of it.